The proceeds from the enterprise will go to his NGO, Being Human. So news has it that actor, painter, humanitarian and business magnate Salman Khan is launching his own brand of smartphones, called Being Smart, for which he has already acquired a plant, and is in talks to put together an operational team. The trademark for the brand, which will offer budget to mid range Android phones up to Rs 20,000, has already been registered. 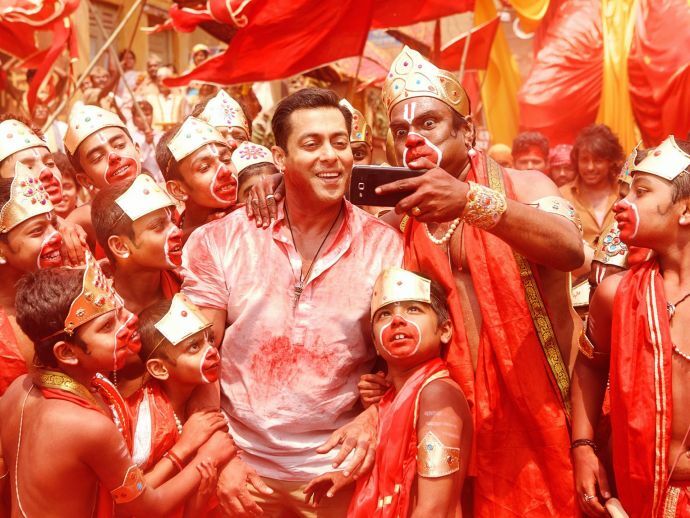 Representatives said that the smartphones will be positioned against Chinese brands like Oppo and Xiaomi, and the profit from the enterprise will be ploughed back into Salman Khan's charity organisation, Being Human. Meanwhile, Salman Khan and his many controversies continue to hound him as he begins his venture. Twitter, in particular, has come up with some interesting conjectures about Salman's new enterprise. Salman Khan launching his new smart phone called "BeingSmart." No matter what happens, this phone will never hang. Salman Khan is launching smartphone called "BeingSmart"
1st Being Human and now this. Bhai asking his fans to become everything he is not. Salman Khan launches a new smartphone. Salman Khan is launching a smartphone company. For once, this time when the phone crashes you can actually blame it on some driver issue. Rumours are that it has been copied from South.